I know, I know…it is only August. But fall is right around the corner so I thought I would get started now. 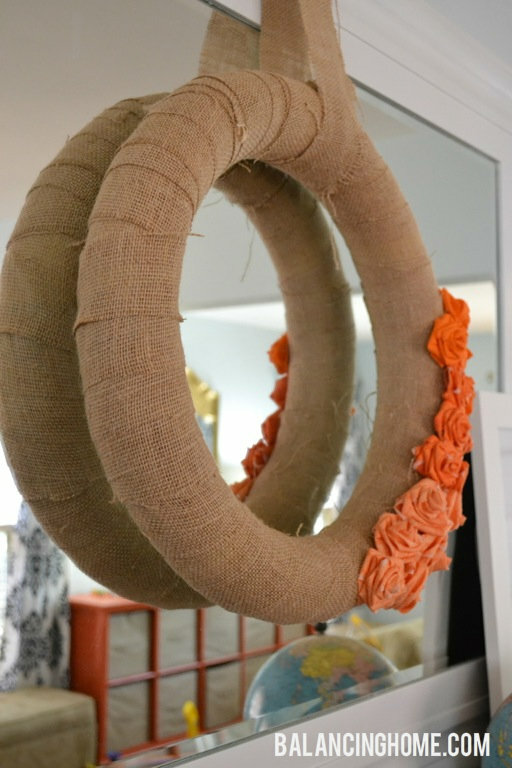 The burlap & fabric flower wreath is the first step to attaining my “fall mantle”. We are using air quotes (If we really were talking, those would be air quotes), because it isn’t actually a mantle. I don’t actually have a fireplace, but a board from Home Depot does the trick. 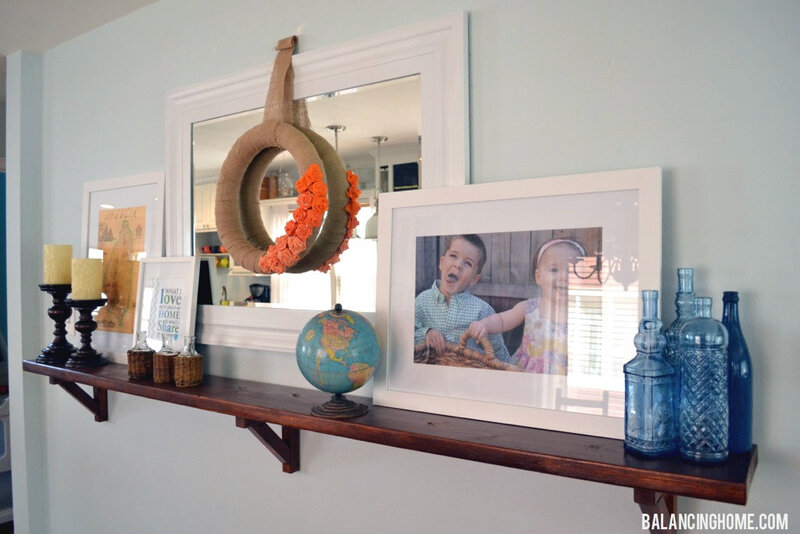 Click on over to learn a tad more about the dining room shelf (a.k.a mantle). 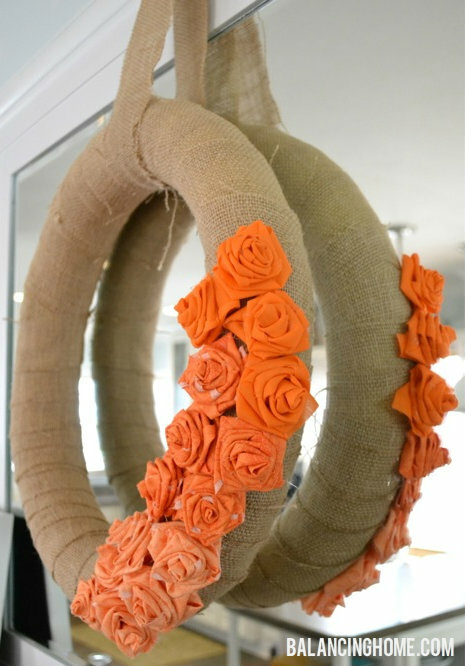 Nothing says fall to me like burlap and shades of orange. I wanted something simple and flexible. 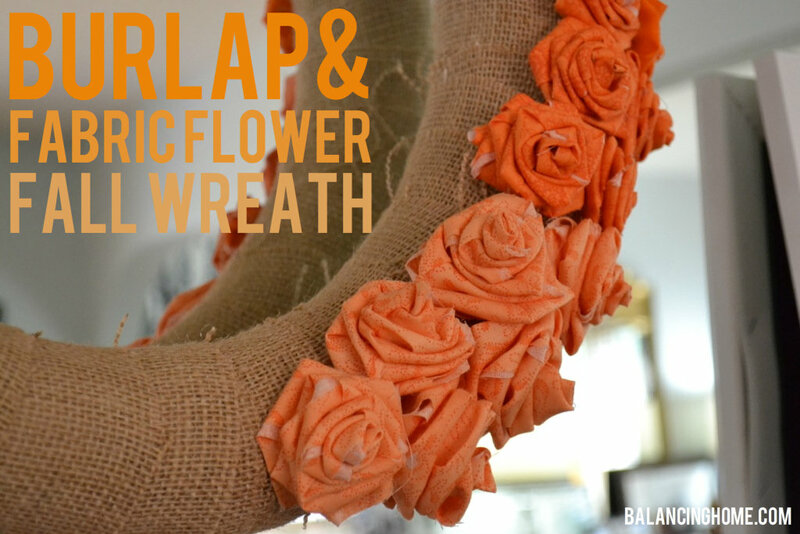 Early fall, Halloween, Thanksgiving…my wreath knows no bounds! Any guesses what the wreath form is? 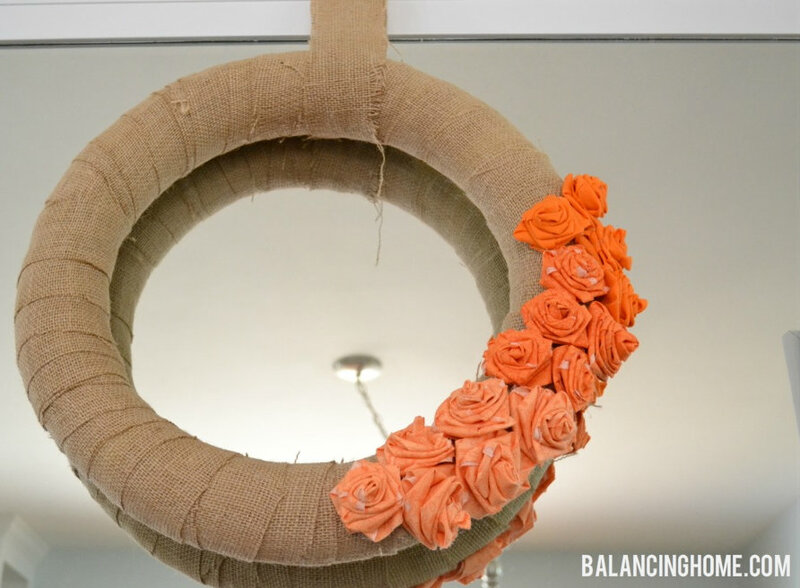 Wreath forms are expensive. 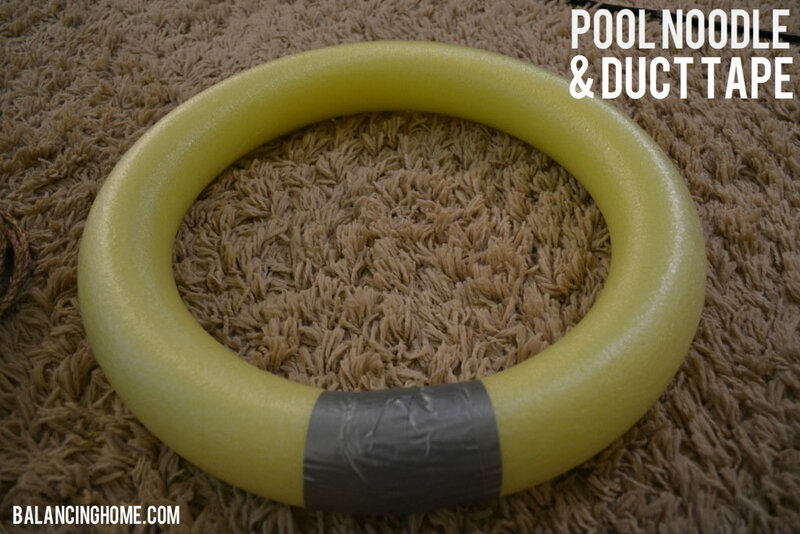 Dollar store pool noodle and some duct tape is totally affordable. I didn’t cut it or anything. Just matched the ends and taped. Next up, I took strips of burlap and some floral pins and got to wrapping. When I got to the end of a strip I pinned it. I cut a new strip and pinned that one on, being sure to overlap both pins as I wrapped so they didn’t show. 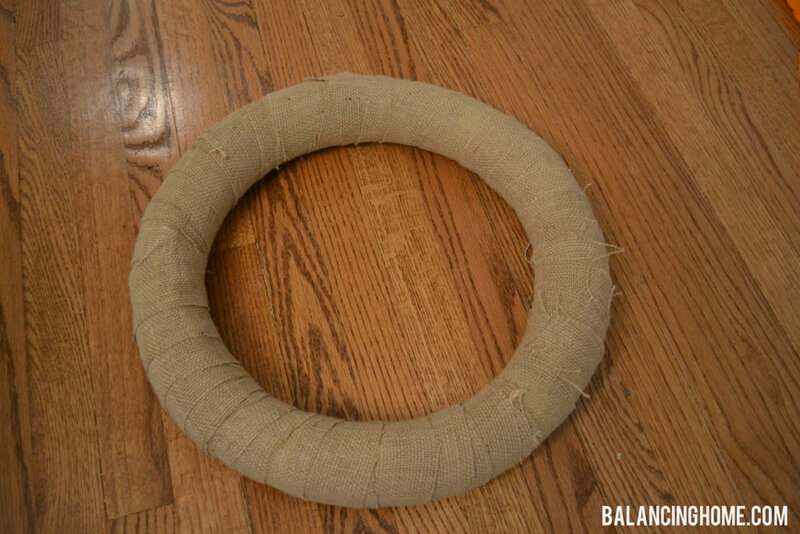 This whole thing, make wreath form and wrap it, takes like 10 minutes. 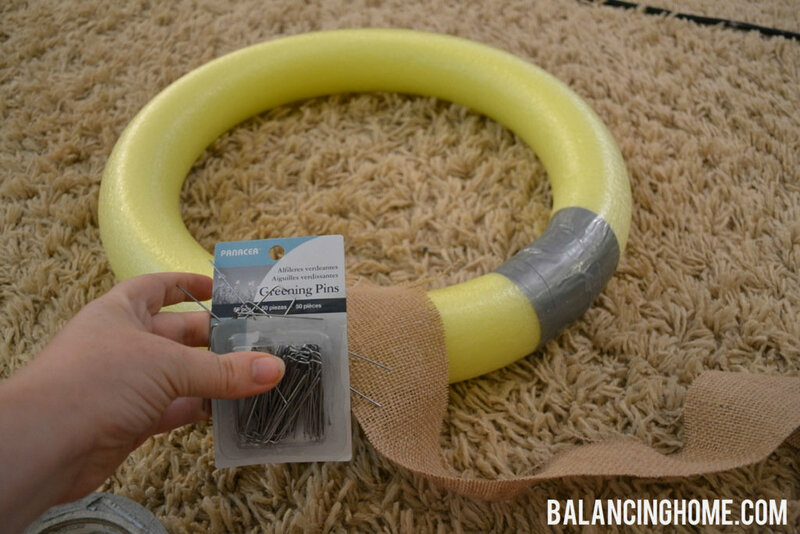 It can easily be done on the living room floor while watching Burn Notice on Netflix after the kiddos are in bed. Yup, we already finished season 1 and are onto season 2. Any other Burn Notice fans out there? When you are all done wrapping you will get this. I don’t mind the raw edges or unraveling. I think it adds character. If that sort of thing bothers you I heard some Mod Podge applied before cutting prevents fraying. 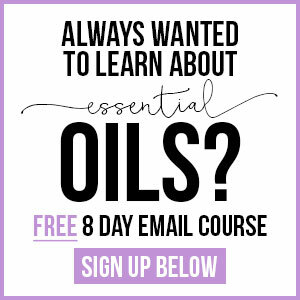 Don’t say I never told you anything useful! 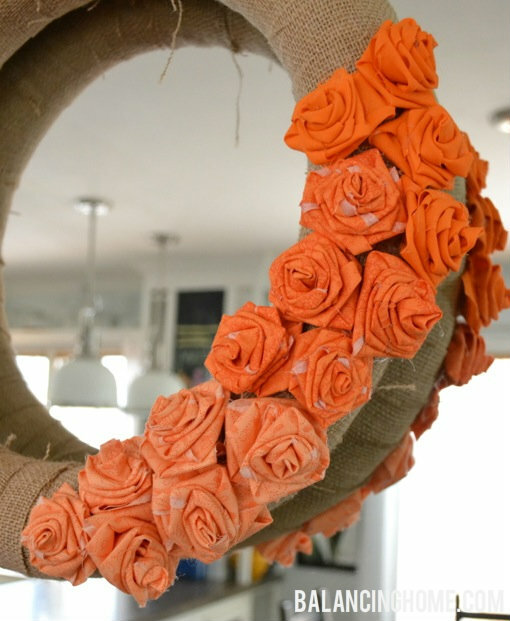 While watching Burn Notice on the living room floor you can also create a whole bunch of fabric flowers. 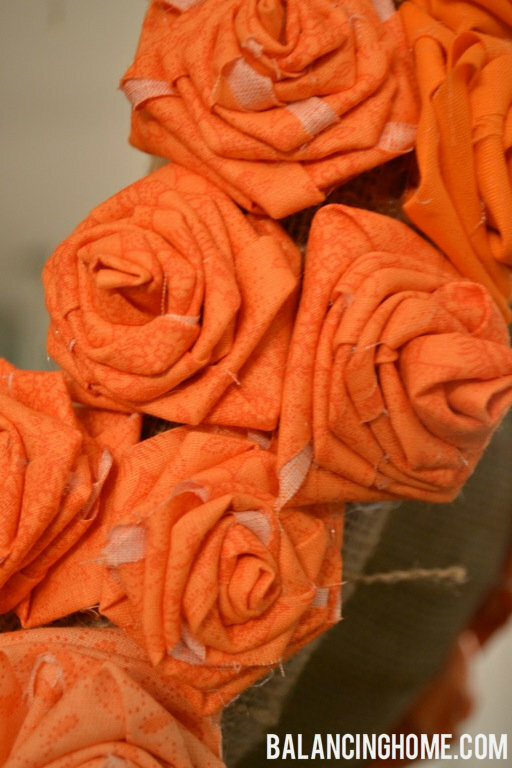 In an effort to not be redundant, I will send you over to my fabric flower tutorial to see how those are done. You are probably noticing my crush on these bad boys. 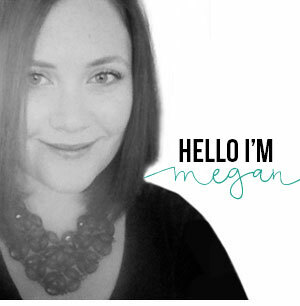 I rocked them for my Valentine’s wreath, Mod Podge Letter, and DIY hair clip. Once your batch of flowers are done, hot glue them on however you choose. I went for a little bit of an ombre effect. Remember how I said this was the first step to our fall mantle dining room shelf? So here is what it looks like now. Still a lot of fall-ifying left to do. I feel like between fall, Quinn’s Birthday (October 6), Halloween and Thanksgiving I have a lot of decorating to do. This year Quinn is turning four and the party theme is pirates. I cannot wait to see this little vignette come together. Fingers crossed the end result is a beautiful fall “mantle”. Anyone else thinking about fall decor yet?